After traveling the world learning the art of makeup and fashion combined with my knowledge of owning a beauty, makeup and hair school, we decided, together with DigIn Media to create a series of videos that will teach you everything I know. The first episode is a basic day makeup tutorial that was designed to teach you basic application. This makeup once mastered should take 5 minutes to apply. 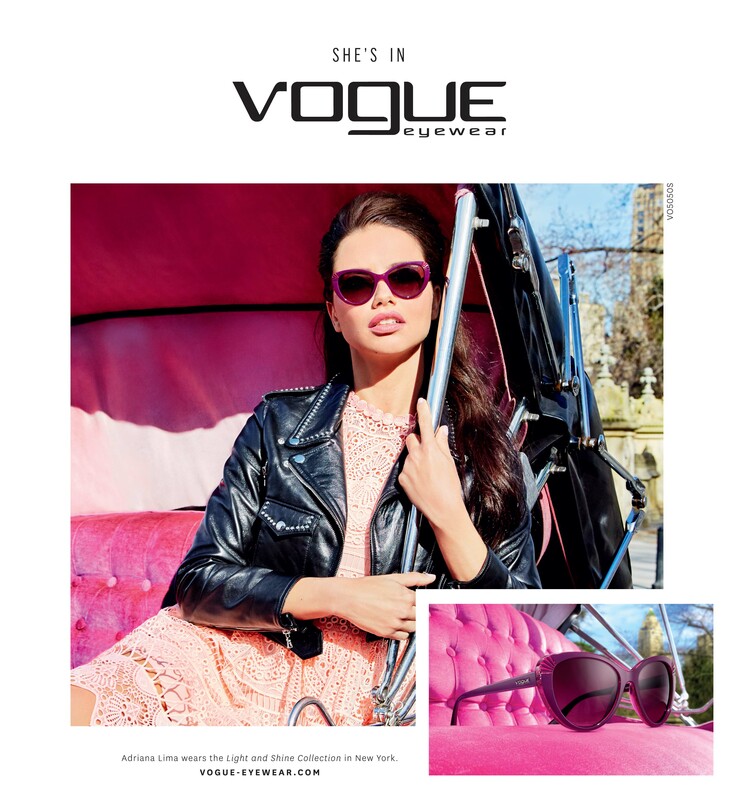 The basic day makeup look is ideal for women on the go and transitions well from day to evening. I hope you enjoy and don’t forget to subscribe to our channel. Make certain that the face is clean and well mositurised before you begin the makeup application. Start the foundation application from the forehead to the chin using a patting motion. Use a lighter foundation under the eye, on the chin and forehead. Begin to neaten the eyebrows, it is day makeup so keep it natural. When shaping the eyebrows ensure that the face shape is taking into consideration. Make certain that the eyelid is free from any oils. Use a medium eyeshadow shade on the lid. 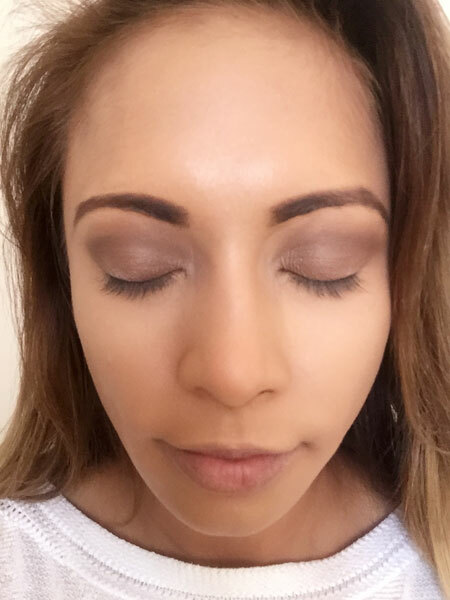 A darker colour can be used in the crease area. Once the eye shadow is blended, line your eyelids. In this makeup, I lined the eye a quarter at the top and bottom. This creates more definition at the outer end of the eye. Mascara should be applied at this stage. 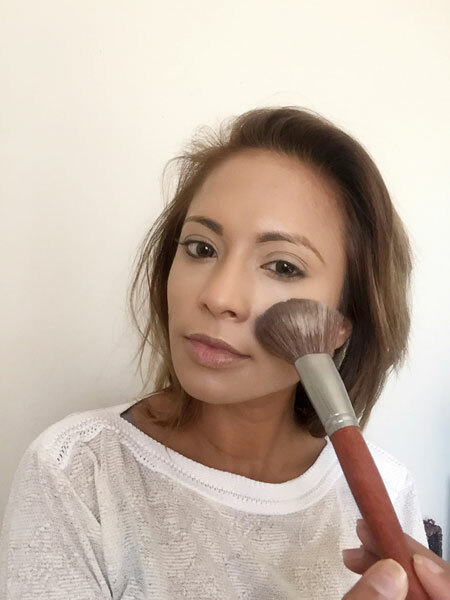 I used a brown blusher to contour my cheekbones. Add a shade of lipstick to suit your final look. 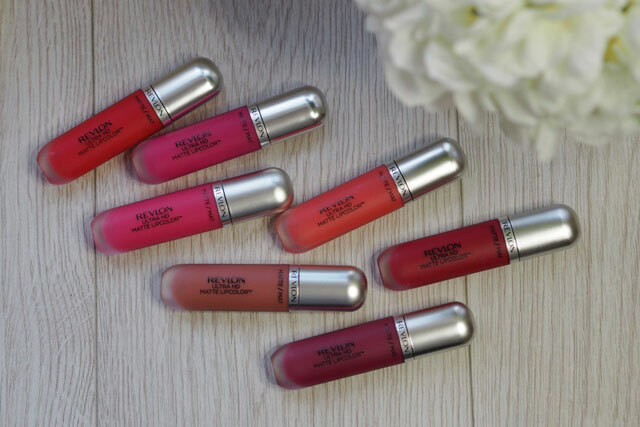 The Revlon Ultra HD lip colour is a velvety matte high definition lip colour. It has been formulated with Revlon’s 100% wax free technology which provides vivid colour. WHAT I LIKED ABOUT THE REVLON ULTRA HD LIP COLOUR. After owning an internationally accredited makeup school for many years, there are certain attributes that one seeks in their choice of makeup. I was pleasantly surprised after trying out the Revlon Ultra HD lip colour. Looking at the product, I would have assumed that it was a typical lipgloss, and because I never apply lip gloss to my lips, I would have passed it by. However, only after trying on the lip colour did I notice that in fact, the application was smooth but most importantly the colour was rich and intense. The finished result was that of a lipstick. I loved that I did not have to apply many layers to achieve the results I required. What was remarkable is the staying power. One application was all I needed and the colour stayed on my lips the entire day, baring in mind that I ate, spoke and drank as I usually do. WHAT I DID NOT LIKE ABOUT THE PRODUCT. The only thing that I did not enjoy about the product is that although it says “matte” it does not finish off as such. My lips did remain slightly glossy, a little more glossy than I usually wear my lipsticks, however for those that prefer a slight glossy lipstick, this is perfect for you. I do have larger lips and I am more conscious about it than most people. The colour variations are quite limited, covering mostly those that have a warm undertone. Natural makeup does not involve heavy contouring and highlighting, however it is a type of makeup application that is so natural that it does not change a person’s appearance, rather it accentuates it. I’ve decided to add this look onto the blog to help those busy ladies who don’t have much time in the morning and are always on the go. This look is actually my everyday look and takes me five minutes to put on. You are probably thinking five minutes? Is she crazy, but no, I am not. Makeup application is like everything else in life. With practice, you can speed up the time it takes. Start with a clean face that is moisturised. A clean canvas is always necessary when creating art. Begin with your foundation application, I did not use primer or under base for this application. In fact, I do not use primer during the day. My makeup stays in place, however when I am on set, or shooting or going to an event is the only time I add primer to my makeup routine. If however, you require primer then apply it before your foundation application. Add setting powder, this is necessary to set your foundation and avoids sliding. Once the powder has been applied, I neaten up the eyebrows. This is a very natural look, so keep the eyebrows as natural as possible. 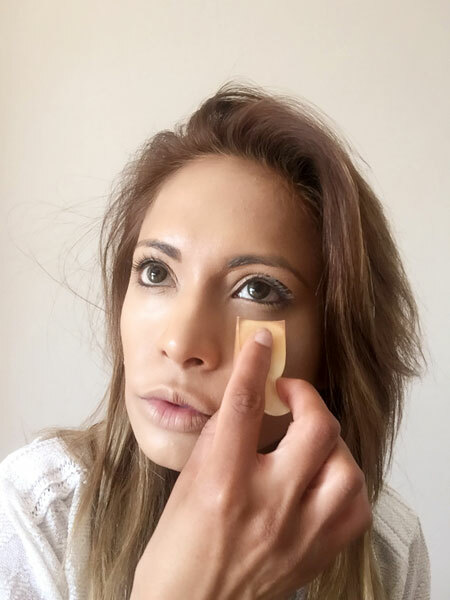 Apply a medium shade of eye shadow to the eye socket as far as the crease of the eye. I used brown, you can choose any natural shade you prefer. Take a dark shade and blend the colour into the crease, again, I used a darker shade of brown. Now its time for the eyeliner. 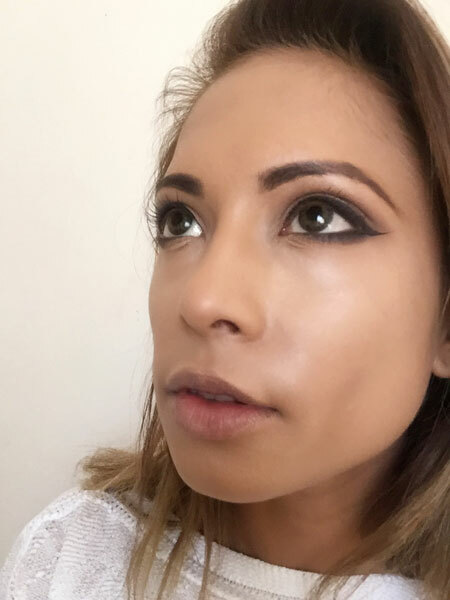 I used a liquid eyeliner and created a more winged effect. I always wing my eyeliner to create a more almond shaped eye. It does not hurt that it also looks good. Extend the eyeliner underneath the eye about 1/4 way, then blend the darkest shade you used over the eyeliner. Once you are happy with the eyes, go ahead and apply 3 coatings of mascara. I like to slightly contour my cheekbones, so I applied a bronzer just under the cheekbone area for a slight lift. Line your lips and fill your lips with a natural shade lipstick. Life can be crazy sometimes, always rushing from one event to the next. Unfortunately us women never feel completely dressed until we have our faces perfectly on. In the madness of the rush, mishaps always take place. Foundation stains on the neck line is my common mistake. Women in relationships will constantly be reminded by their other halves to be careful not to hug to close because of foundation or lipstick marks on their shirts. I mean really, the price we have to pay? Whatever makeup stain battle you are facing, it is important to know how to remove those stains, quickly and painlessly. Lipstick stains can easily be removed using (Isoprophyl) alcohol or watch hazel. Don’t have these in the cupboard? No stress. Try spraying hair spray to the stain, allow this to set for 10 minutes before washing. 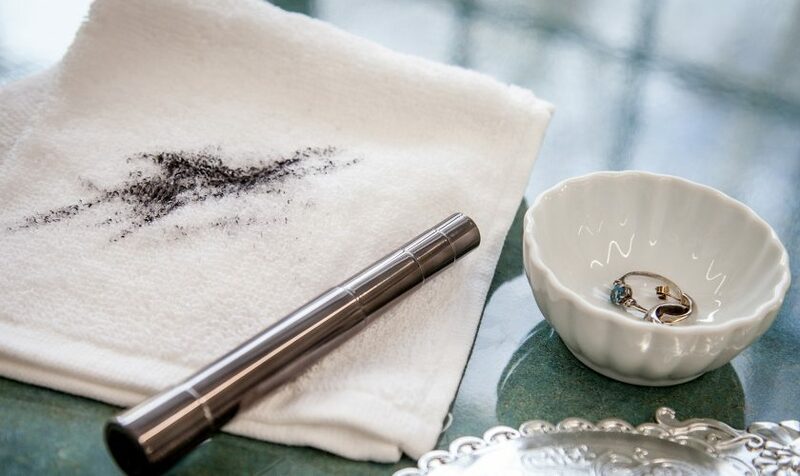 Eyeliner or mascara stains can be treated with salt before washing or use a drop of dishwashing liquid in water and wash.
Foundation stains can be treated with shaving cream or even shampoo. I’ve used 3% hydrogen peroxide liquid which works like a charm. Blusher and eyeshadow stains can be removed using a mild laundry liquid. Always read the care instructions of the garment before attempting any removal. Make up stains on delicate fabrics should be taken to a professional for cleaning. Removing a fresh stain is always easier than trying to remove one that has had an opportunity to settle in. If the stain is an oil based stain and is not responding to any treatment, try spraying WD 40 to the stain, be careful using WD 40. Try using the product on a small piece of the garment first before treating the stain. This could avoid damage to the entire garment. Some people swear by the coca cola method, however I have never tried this method. My only concern is that the coca cola will leave its own stain. Hopefully, if you do try this method, it will wash off after a good wash.
A wedding is a special time for all ladies, we dream about this day from the time we were little girls, rehearsing as often as we could the moment we will walk down the aisle, meeting our gorgeous and striking husband at the end. And the look in his eyes as he lifts the veil and sees his wife for the very first time. Some of us still imagine this day with the same excitement. So, when deciding on your makeup, be cautious, remember that the man that is waiting at the end of the aisle needs to still recognise you. 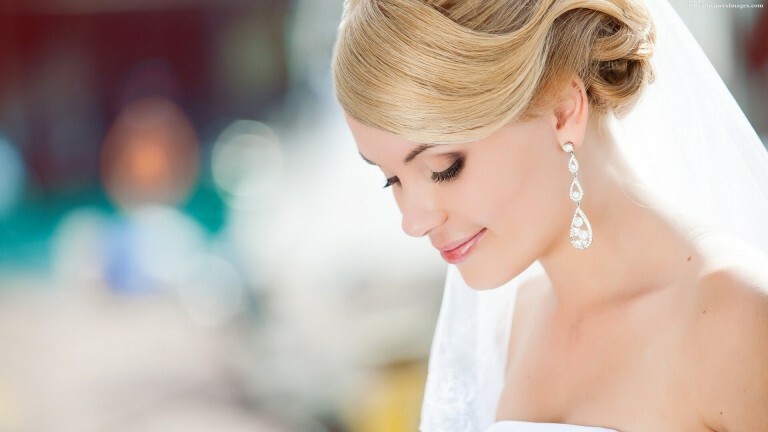 The rule with bridal makeup is that, you should still look like you but in a better more beautiful way. Try to stay away from makeup fashion trends, your makeup should be timeless. Remember that 20 years down the line, you still want to look at the photographs without cringing. 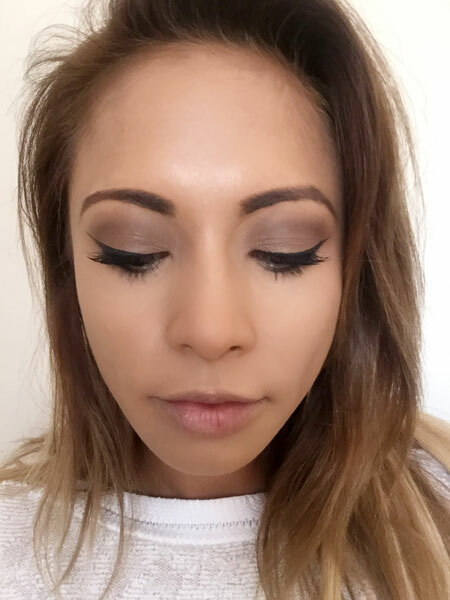 Every bride should book a consultation with the makeup artist to run through a trial. This time should be used to practice different looks and settle on one that you are comfortable with. Bridal makeup should have enough colour and should be heavier and darker to compensate for the white gown as well as photography. Do not get scared when you look into the mirror and suddenly see a face plastered with makeup. Lighting takes away at least 50 to 70% of the makeup in photographs. It is important to make certain that your skin is clear and smooth. Drink plenty of water and prepare your skin. When applying makeup, the rule is that natural light is the best. Try to position yourself close to a mirror. Moisturise your face before applying makeup, however avoid moisturisers that contain sunblock. These are known to give flash back in photography. Make sure that your foundation is blended well. Try to stick to the natural tones of eyeshadows and darken the other edges of the eyes to create depth. Use 2 shades of blusher, a natural shade on the apples of the cheek, whilst a darker shade to contour. If the gown has an open neck, think about adding bronzer to the neck and decollate.